Last week I traveled through Jeollado with my mother and a friend of ours. 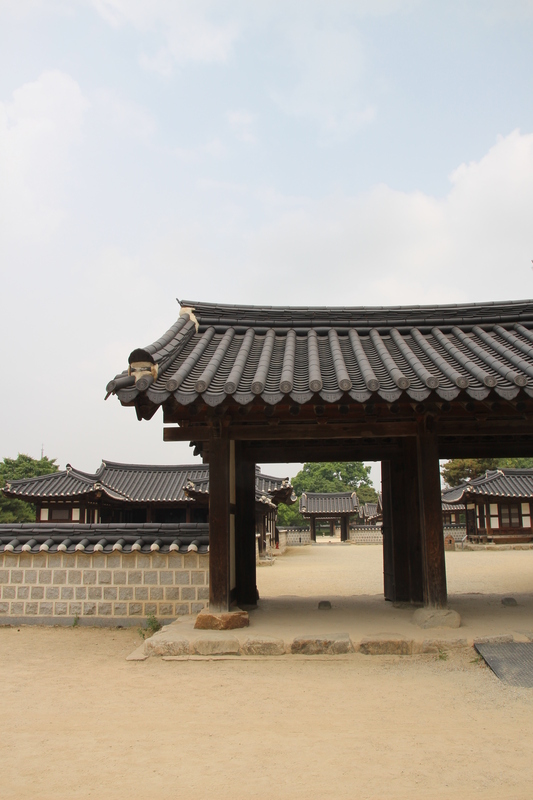 Our first stop was Jeonju, a city in Jeollabuk-do (Jeollado is divided into North and South). 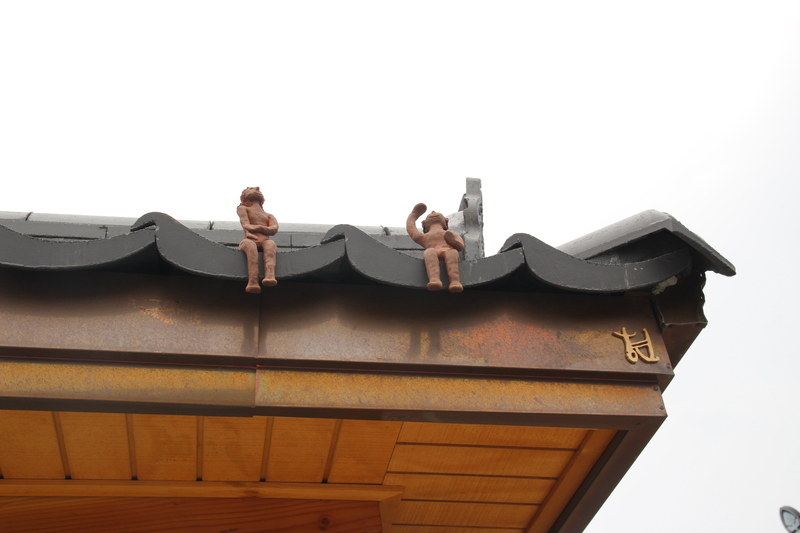 It’s famous for the Hanok Village, which has kept traditional Korean architecture and foods to an art form. My mother’s friend runs two Hanok guesthouses and a modern guesthouse there, so we visited all three. 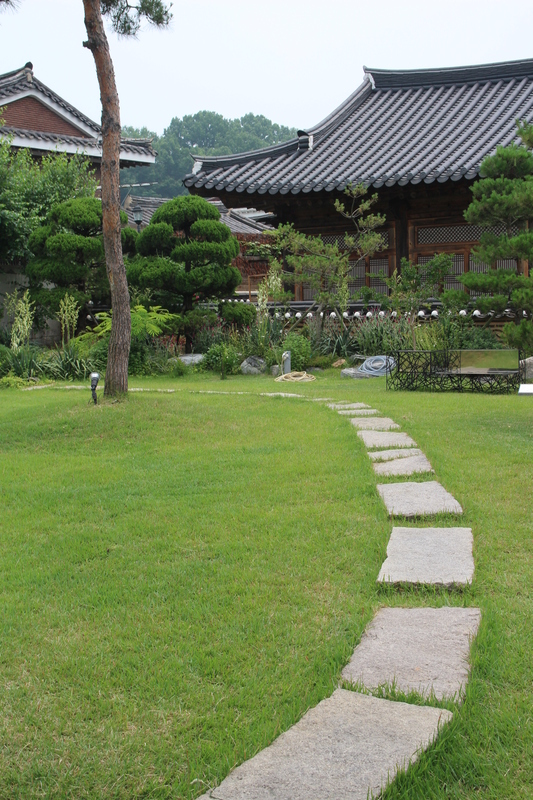 One of the main museums in Jeonju Hanok Village is Oejinjeon, the Joseon Royal Portrait Museum. Since I love history, it was great for me to visit it. Although all the portraits except for that of King Taejo are reproductions or approximations, it is interesting to see how they may have looked like according to royal records (or photographs, in the case of Gojong and Sunjong). Originally, there were 26 portraits of Taejo, but all of them except for one were destroyed during the Japanese invasions of 1592-3. The piece on exhibit at the Royal Portrait Museum is an 19th century reproduction on one of the originals. The original had been damaged, and hence Gojong ordered it be reproduced in 1872, and for the original be buried according to Confucianist rituals (My mother: “If people back then had known about the historic value of old, original paintings back then…!”). Taejo is vividly described in historic sources as having remarkably large ears, which in Korean fortune-telling represents potential for great wealth (You can read more about facial readings on Huh Yong-man’s manhwa “Kkol”). It is notable to see the differences between the three top portraits, and the bottom ones. 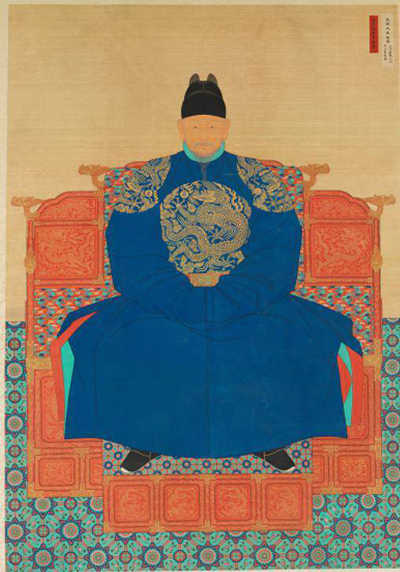 Cheoljong‘s portrait is remarkable in that his hands are depicted – royal pictures do not usually show the hands at all. However, his background might explain this plain-looking depiction of a king. 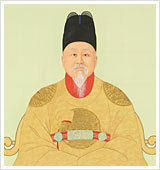 Cheoljong’s grandfather, Lee In, was the offspring between Crown Prince Sado and a concubine. Lee In’s life was unfortunate – he was exiled for 3 years for receiving money from merchants, his other son was accused of treason, and was finally exiled for good to Ganghwa Island for his wife’s connection to Catholics. 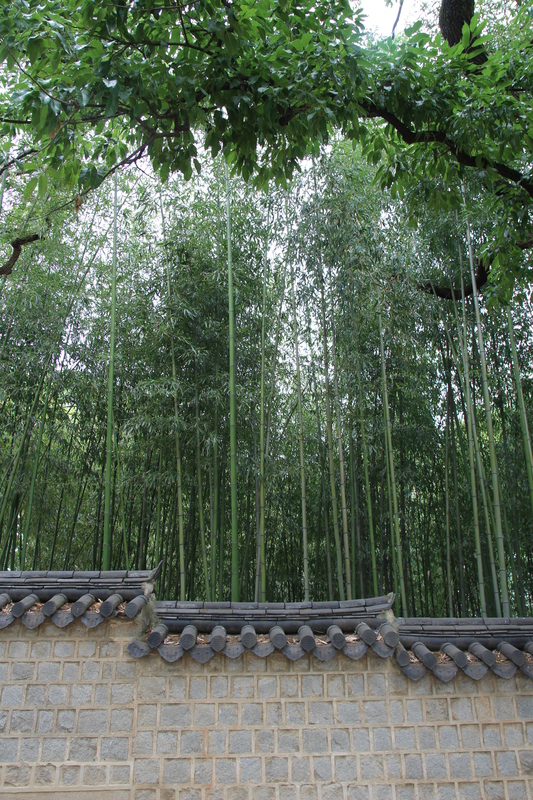 Lee In and his son Lee Gwang (Cheoljong’s father) lived as poor farmers on Ganghwa, deprived of any royal life. Cheoljong’s return to Hanyang was a matter of chance – his predecessor, Heonjong, only had a daughter when he died. 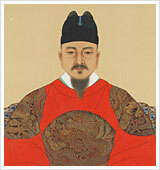 Heonjong’s predecessor Sunjo only had one son, Ikjong, who also died shortly after being made Crown Prince. Cheoljong’s royal life did not fare well – many ministers would mockingly call him “The boy from Ganghwa”, and his reign is noted for messy politics and factionalism which his predecessors tried so hard to counter. 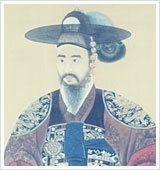 Gojong was made king since Cheoljong died without any heirs (his children all died at a young age). 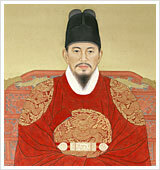 Although he is the son of Heungseon Daewongun, he was made Ikjong’s son through adoption as a strategic move by his father. 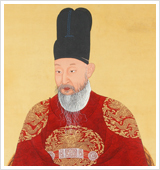 Following Ikjong’s death, he was crowned at 12 years of age, so his father Heungseon Daewongun ruled for him during the first ten years of his reign. His time saw unfair treaties with Japanese and Western powers, and although his efforts at modernisation created the Korean Empire in 1897, his reign ended with Japanese colonisation. His efforts for independence were avenged by the Japanese – Gojong was forced to abdicate and eventually killed through poisoning. Sunjong was the only legitimate offspring between Gojong and Empress Myeongsong (an older brother died shortly after birth). His reign of the Korean Empire was frail. His reign ended in 1910, when the Japanese forced him to sign the annexation treaty, which he refused. It is suspected that he was also poisoned to death. 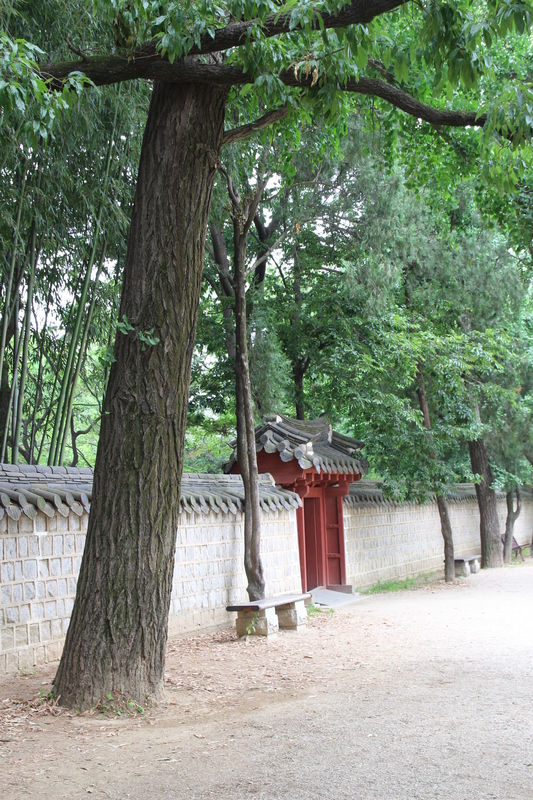 Below are some photographs of buildings of Gyeongjeon, the court surrounding the Oejinjeon. 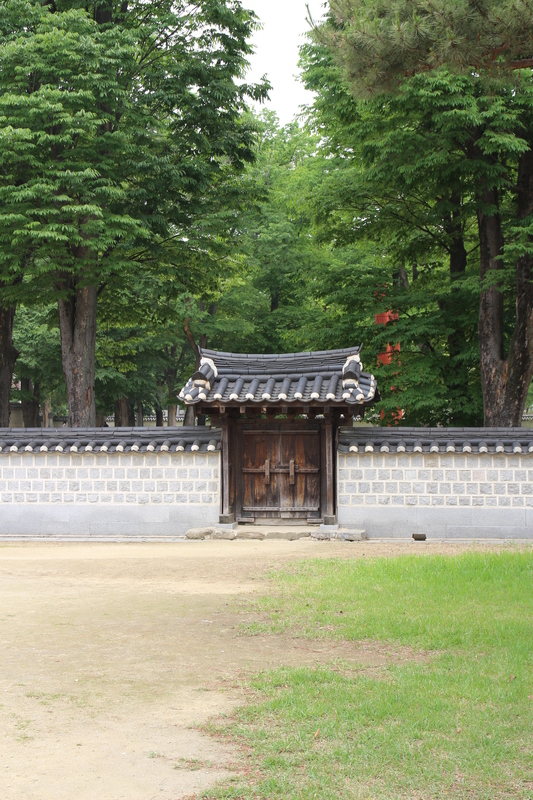 The area is not only home to the portrait of King Taejo, but also to the Jeonju Archives of the Joseon Dynasty Annals (조선왕조실록). The Annals and their copies were kept in four different locations, and all but the Jeonju Archives were burnt during the Japanese invasions. A local yangban and villagers securely took the Annals out into the mountains, and the Jeonju Annals were copied again, and dispatched to 5 different locations including Hanyang (modern-day Seoul). Gojong and Sunjong‘s Annals are not recognised as official royal records, for they have been tampered with by the Japanese. Also, the umbilical cord of King Cheoljong is enshrined here (Yes, it was tradition to enshrine the umbilical cords of all royal offsprings). Next PostSeoul University Hospital. People are nosy.